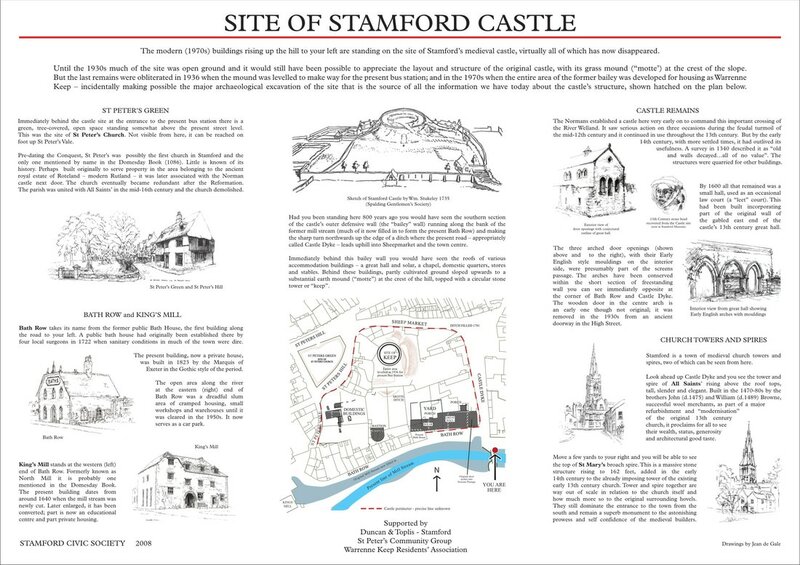 The Society has arranged for the production and siting of a number of information boards to explain key features of Stamford to visitors and townspeople. 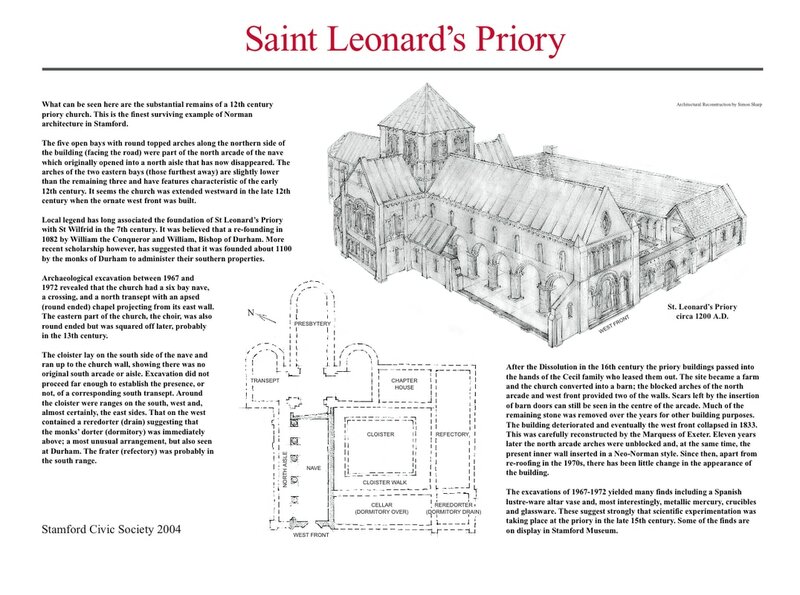 The cost of the boards is met from the Society’s funds. 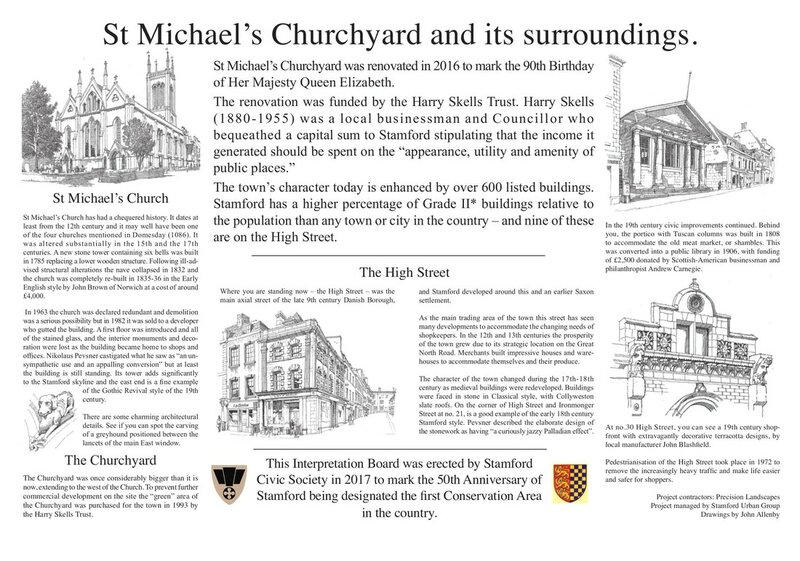 Six information boards have been installed so far. ​You can click the pictures below to see larger versions, or download full-size files from the links. The Society has erected a plaque to commemorate William Stukeley and it has adopted a policy for supporting the provision of new plaques. Inside All Saints' Church, where the original sundial is preserved. 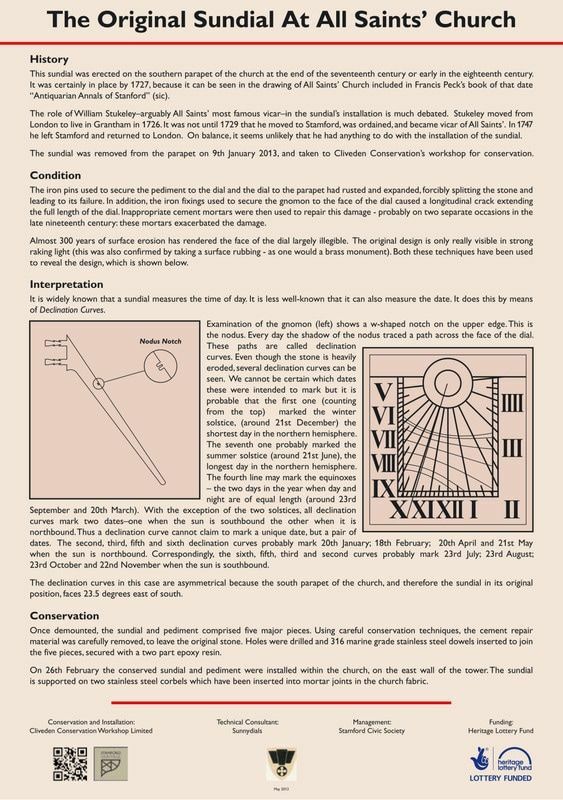 Part of the 2013 Sundial project. Outside All Saints' Church, with a good view of the new sundial. 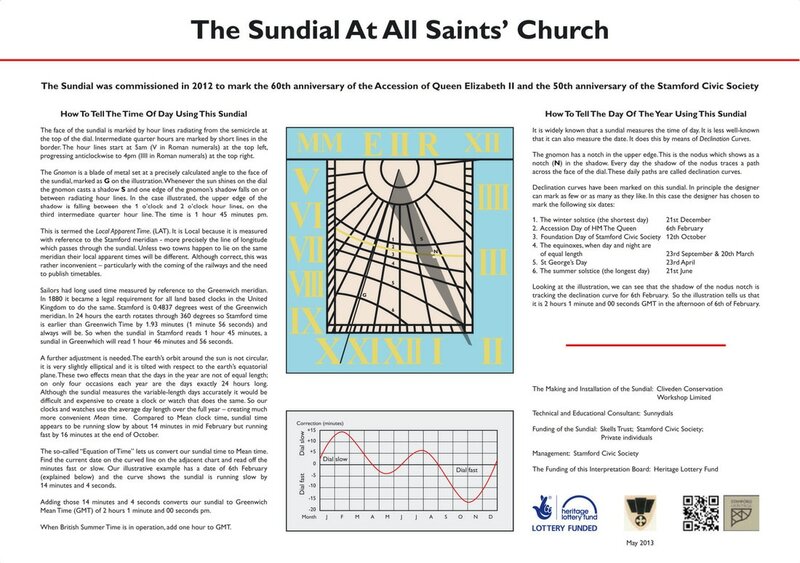 Part of the 2013 Sundial project. 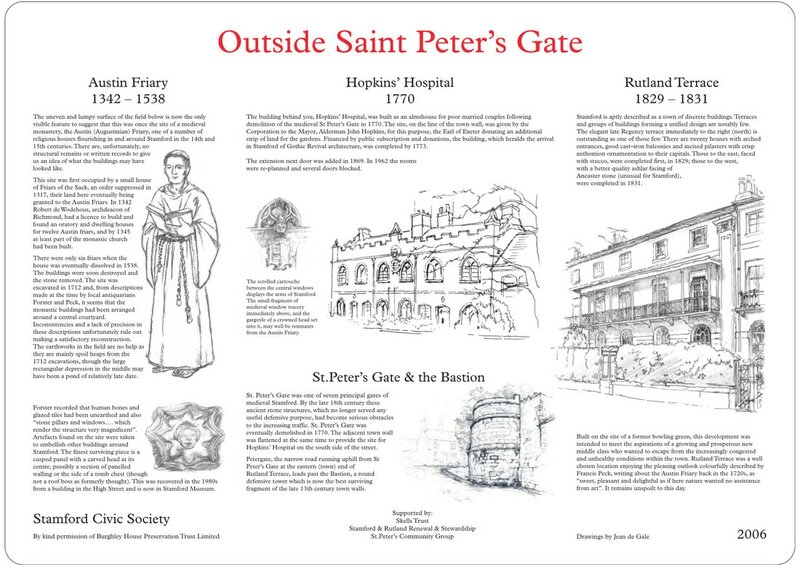 ​At the site of the former St Peter's Gate. Installed in 2006. At the end of Vence Walk, north of the Millstream on the Meadows. 2008. In the restored churchyard, High Street. 2017.